The Dallas Mavericks visited the Staples Center to face the Los Angeles Clippers last week, with the Clippers eventually beating the Mavericks 121-112. But when the game had about 10 seconds left, Clippers coach Doc Rivers did something amazing - he called a timeout, grabbed a mic and ensured that the crowd gave Nowitzki a last well-deserved standing ovation at the Staples Center. Nowitzki too got all emotional and appreciated Doc and the crowd for this heart-warming moment. 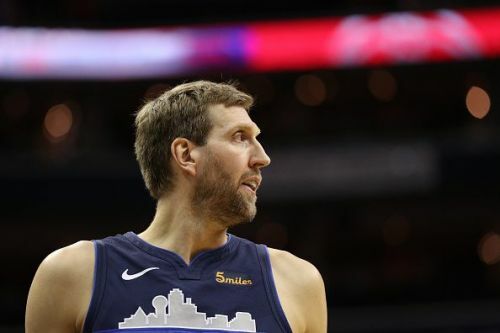 It has not been announced oficially, but this season seems to be the end for Mavericks veteran, and the entire NBA has showered Nowitzki with love and affection for his contribution to the game over his 21-year career. The legacy that he leaves behind in Dallas, is going to go unmatched for decades to come. He has been the face of Mavericks for a long time and has led the team in almost every statistical category. In his legendary career, the German has been to the All-Star game 13 times, been named to the All-NBA team 12 times, was named the league's Most Valuable Player in 2007. In 2011 he brought a maiden NBA championship to Dallas as well as winning the Finals MVP. With the match against Clippers, he became the fourth player in NBA history to have played 1,500 career games. He sits at the seventh spot for all-time top scorers and will probably move to the sixth spot overtaking Wilt Chamberlain before the season ends. Such is the greatness of the 'German Racecar' or the 'Bavarian Bomber' as he is often called - that Dirk Nowitzki has redefined the role of power forward in shooting beyond the arc. He signature step-back-single-legged jumper and many skilful moves throughout his career will be cherished in the years to come. Let's pick some of such awe-inspiring moments from the vault and re-live the era of the Big-D. This match played on Dec 2, 2004, was a regular season game which had the intensity of a playoff Game 7, where both the teams were going at each other with all they got. 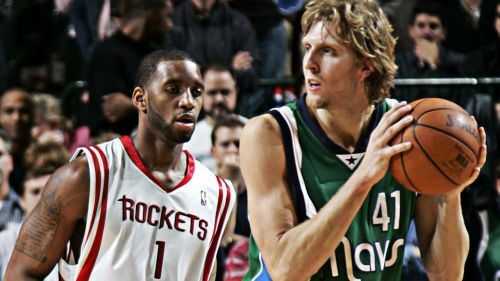 This Mavericks performance and the OT win is considered one of the best in their history but the highlight of the match-up was the clash between two amazing performers the game has ever seen - the Mavs' young star Dirk Nowitzki and the Rockets' new acquired scorer Tracy McGrady who won the previous year's best scorer. At half-time the Mavs were up 56-51, Dirk had 22 points and Tracy McGrady had 25. Dirk scored 10 straight points in OT and the Mavs won 113-106. Dirk scored 53 points in total, going 15 for 32 from the field, while McGrady put a brilliant 48 points performance scoring 19 of 36 attempts from the field.